Most carpet owners prefer the wool fiber material perhaps due to its pleasant appearance, soft feel, and smooth texture. However, these are not the only reasons for preference. Wool carpets are also flexible, well-insulated, durable, and naturally resistant to flame, wear, dirt, and stains as compared to other fibers. Still, there are reasons why wool rugs need extra maintenance and care. Wool fibers tend to shrink on heating up or while drying for a too long period. Further, they absorb much water due to which the drying time is more than other synthetic fibers. For cleaning, the use of even safe brightening or bleaching agents can result in loss of color and fiber damage. So, it is essential to take extra care of your woolen rugs. Here are some dos and don’ts for cleaning them with BISSELL Little Green to retain their unique look and feel for a long time. You should vacuum both the sites of carpet just twice a month for cleaning the air pockets where dirt resides. Using more than twice tends to pull the fibers, which is not good. You also need to have a suitable best carpet shampooer as per the pile type. Pile height and flat weave options need varying suction and height settings. Generally, you should consider a vacuum cleaner without a beater bar to keep shedding away and with an adjustable suction as well as a handled brush add-on to efficiently vacuum the desired area. This is an ancient method that still works. 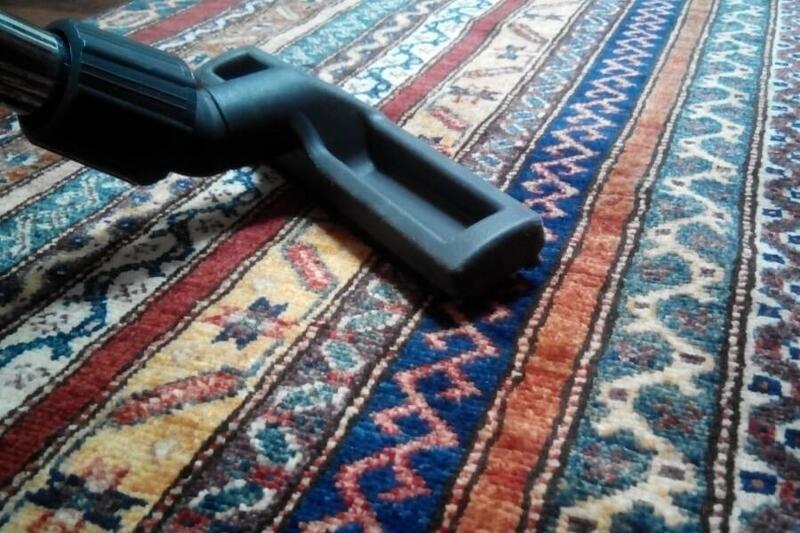 If vacuuming is not your choice, this method helps in cleaning the rug in just a minute. Just shake the rug for a minute to force all dirt to come out. In case the sky is clear, consider leaving the carpet out for some hours. Using dry powder is common but getting a good result at home is uncommon. This is because no matter which type of dry powder you take; it simply settles inside the tiny air pockets and results in a mess. As a result, the carpet becomes a bit blurry in terms of appearance. Just leave its usage in the hands of professional cleaners, as they use it with suitable equipment in some situations. Steam cleaning has the same damaging effect as blow drying has on hair. So, it becomes too risky to try it. Moreover, it is unwise to make a woolen carpet completely wet at home, as it is not going to dry quickly. This is likely to attract mildew. The result is worst when the steam leads to mud by mixing with the dirt within the pockets. This method is again a professional one. So, do not try at home. Although wool is resistant to dirt and stains, leaving them on it for a long time makes it impossible to remove them later. Thus, ensure that you remove them as quickly as possible as per the manufacturer’s instructions. This is applicable for any kind of spill. However, avoid using oxygen and ammonia agents, as they damage the fibers.